Sun control energy efficient devices help manage solar heat gain and harvest natural daylight to meet sustainable design goals. They work in concert with the façade and the other building components to improve occupant comfort by redirecting sunlight. Sunshades have a few common characteristics. A sun control device usually has an outer frame (outrigger), an inner component (louver), and fascia components. 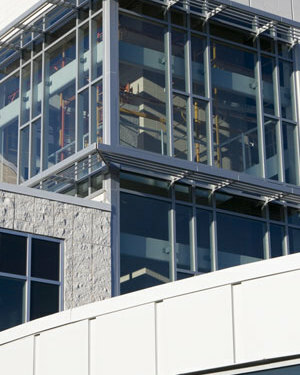 Thermashade® sunshades can be applied to curtain wall, storefront facades, and also masonry walls to maintain a consistent appearance across the building envelope. When integrated with YKK AP’s thermally broken systems, our innovative anchoring methods ensure that the thermal performances of the host systems are maintained. YKK AP’s patented system design provides pre-engineered solutions yielding extensive flexibility, design freedom, speed of delivery, and ease of installation. The YKK AP Luminance® light shelf incorporates modern design elements and maintenance features offering the most attractive and functional energy efficient light shelf system on the market. 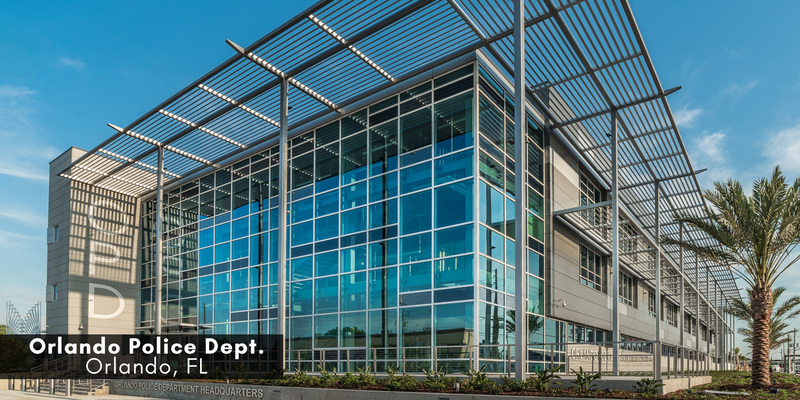 This unique energy efficient window system in constructed from high quality aluminum extrusions and a lightweight, rigid honeycomb core panel with a durable melamine surface. All YKK AP products are manufactured, finished, and inspected for quality in our environmentally certified, state-of-the-art facility in Dublin, GA. Meaning our products fit together without a lot of jobsite re-work. YKK AP offers a complete suite of tools and engineering services to assist in proper system selection, specification, and installation, contact your local sales representative for more information. YKK AP is your partner for sustainable building and LEED v4 certification. With the completion of a comprehensive life cycle analysis (LCA), YKK AP can now provide product-specific Type III environmental product declarations (EPD) for all products in the Sun Control category. When the School District of Philadelphia and Microsoft Corporation planned a high-tech high school, they set ambitious goals for the building, which YKK AP helped achieve.